If you have any suggestions or feedback as to areas you’d like to be covered for our December issue, please email us at our mailing address and we will do our best to include this for you. In the meantime, we hope you enjoy our issue for October/November! Happy November, everyone! With a hot Aussie summer and Christmas just around the corner, we hope you’re all getting ready for a relaxed, splendid holiday season (Can’t believe it’s come so soon!). Nevertheless, it’s been a big last month for our team: We’ve moved office, welcomed back our fabulous Senior Registered Migration Agent, Tanya Tekuleka, who has just spent the past six months on maternity leave, all while signing up and lodging new applications every day. HOME SWEET HOME: OUR NEW OFFICE! We’ve moved office! Hoorah! 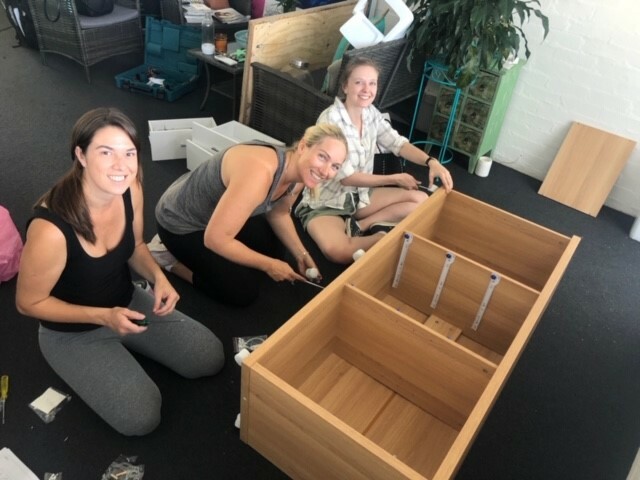 Take a look at Amber (Registered Agent), Kamille (Admin) and Michelle (Director) using some elbow grease to assemble our new furniture. 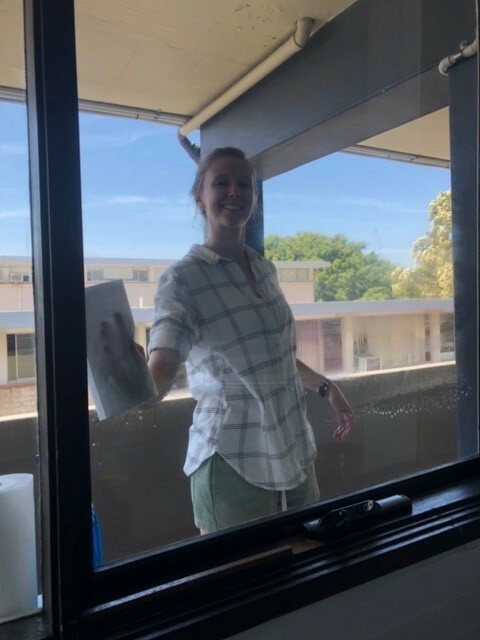 It was a big task for a small office, but nonetheless on Thursday 1 November we settled into our new home at Suite 6, 16 Waratah Street, Mona Vale, NSW. We’re loving our new space and can’t wait to begin our next chapter here! A big THANK YOU to all of our clients for their patience and cooperation during the move. Home Affairs do have ‘grandfathering’ arrangements available to those whom had applied for or held a Temporary Work (Subclass 457) visa on or before 18 April 2017. These arrangements essentially maintain a permanent residency pathway for certain Subclass 457 visa holders. If you believe you may be within this cohort that could be eligible for grandfathering, do reach out to one of our migration agentswhom can affirm this for you. Note:These transitional arrangements are relevant for Temporary Residence Transition stream applications only. No transitional arrangements are in place for Direct Entry (DE) stream applicants who are expected to meet the requirements in place at time of application. New requirements will not be applied to pipeline applications. The work experience requirement, and the requirement to have worked at least two out of the three years and prior to nomination on a subclass 457, will remain at two years. Applicant held a subclass 457 visa on 18 April 2017 and continues to hold this visa or a TSS visa/related bridging visa at time of application. Applicant lodged a subclass 457 visa application on or before 18 April 2017 which was subsequently granted and continues to hold this visa or a TSS visa/related bridging visa at time of application. the minimum period an applicant is required to have been employed in their nominated occupation as the holder of a subclass 457 or TSS visa will remain at two years. All other applicants. New requirements apply. For ENS visa applications, applicants are required to meet the English language criteria, all visa applicants must have either completed at least five years of full-time study in a secondary education institution or higher education institution where instruction was delivered in English, or have passed an English Language test. If you don’t meet the five-year study requirement, you will need to provide evidence of your English Language test results. There are two English Language tests we recommend, being IELTS (https://www.ielts.org/) or Pearson Academic (https://pearsonpte.com/). Our agents can advise what score you’re required to achieve based on new legislation. As of 12 August 2018, employers are required to pay a Skilling Australians Fund levy for every nomination on the Temporary Skills Shortage (subclass 482), Employer Nomination Scheme (subclass 186) and Regional Sponsored Migration (subclass 187) streams. This levy will be payable at time of lodgement of the nomination, and the amount payable is determined by the annual turnover of the sponsoring employer’s business. For Employer Nomination Scheme (subclass 186) and Regional Sponsored Migration (subclass 187) nomination applications, the fee is fixed at $5,000.00 for businesses with a turnover of over $10 million. For businesses with a turnover of under $10 million, the fee is fixed at $3,000.00. We want to hear from you! At First Class Migration Australia, it is important to us that our clients feel valued and supported throughout the process of lodging their applications. So, we’ve decided to put together a short form which will give you the opportunity to reflect on our service and provide some valuable feedback to us. We greatly appreciate your feedback!